Zsa Zsa Gabor: Love or Money? Love or Money? or is it Love and Money? Beyond ,the headlines, there is a tug of war .. On one side is her ninth husband of 24 years Frederic Prinz von Anhalt and other side her only child Constance Francesca Hilton. Reports of Zsa Zsa being near deaths door are coming from her husband, her daughter disputes the reports saying her mother condition wasn’t critical and she is up, talking with people. Ms Gabor, reportedly broke her hip falling out of bed in July. Her husband told reporters at the hospital that she was in critical condition due to a concussion she received when she fell out of the bed and was not responding to human contact. Hours later her daughter told reporters she was not in a coma or on any kind of a death watch. She is responsive and on medications. All vital signs are still going strong, and she is talking. 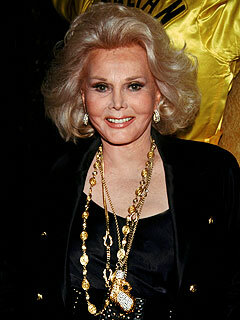 Zsa Zsa has been confined to a wheelchair following a 2002 traffic accident. On Tue(Aug 31) she was rushed back to the hospital, again her husband said she was unresponsive, however some reports said she had flu-like symptoms and she was released Saturday. 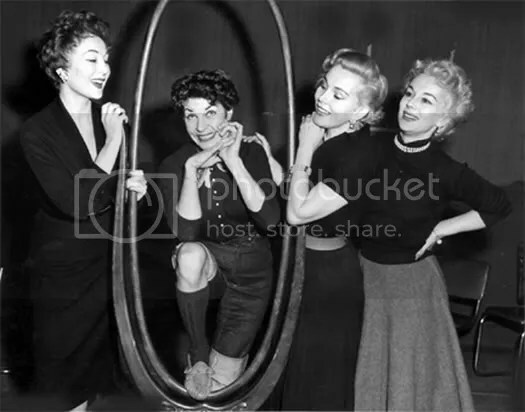 Actress Socialite, Zsa Zsa along with her mother Jolie and sisters Madge and Eva are best known for there TV appearance and marriages. Of the four beautiful and charming women, Zsa Zsa stood out. The youngest Gabor, Eva found success on TV’s Green Acres . Zsa Zsa is the remaing sister, her sister Magda died is 97, Eva in 95 and her mother Jolie in 99.
her father was Conrad Hilton. She is the cousin to Paris . In 2005, Zsa Zsa and her husband sued her daughter accusing her of “conspiring with others to fraudulently take out a $3.75 million loan on her(Zsa Zsa’s) home and of then taking $2 million of it to buy herself a house. The Santa Monica Superior Court threw out the case due to Gabor’s refusal to appear in court or to sign an affidavit that she indeed was a co-plaintiff on the original law suit filed by Frédéric Prinz von Anhalt. Von Anhalt said he did not continue with the suit because of his wife’s declining health. however, he intends to sue Francesca. Controversy surrounds Mr Von Anhalt, from his name (birth name Hans Robert or Hans George Licthenberg) to his statement to the German Press suggesting that he want to plastinate* her body when she dies. In 2006, he told the press that he could be the father of “Anna Nicole Smith‘s daughter. In 2007, the Los Angeles Police found a naked Von Anhaut tied to the steering wheel of his Rolls. He told the police three women approached him for pictures and one of the women robbed him . Earlier this year, he announced he was running California’s Governor, “Returning to the Good Life would have been his platform. Mr Van Anhaut profile is perfect for a town that has a long history of reinvention. UPDATE: Mr Van Anhalt denies making the plasinate statement to the German Press…. This entry was posted in Entertainment, INTERNATIONAL and tagged Anhalt, Anna Nicole Smith, Cityfella, Conrad Hilton, Constance Francesa Hilton, Eva Gabor, Frederic Prinz von Anhalt, Hilton family, Jolie Gabor, Los Angeles, Magda Gabor, Zsa Gabor, Zsa Zsa, Zsa Zsa Garbor. Bookmark the permalink. Hey There. I found your weblog using msn. That is a really well written article. I will make sure to bookmark it and come back to read extra of your helpful information. Thank you for the post. I’ll certainly comeback. Love the Gabor pictures. They will remain icon’s. Would like to know more about Constance, she looks like a gabor especially her Grandmother. Hope Zsa Zsa remaining years are comfortable and free of stress. Great pics. except for Mr Von Anhalt.